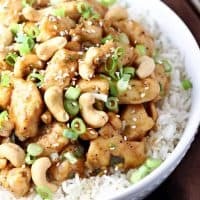 When a delicious meal like this Easy Cashew Chicken comes together in 20 minutes and everyone cleans their plates, you know it’s going in the favorites file! The hardest thing about this dish is remembering to thaw your chicken. You also need to remember to start your rice well ahead of time if you’re planning to serve that as a side dish. Because this cashew chicken comes together that fast! It really does add great flavor to use toasted cashews, and it’s easy to do. Just cook them in a 350 degree oven for about 10 minutes. This step can be done ahead of time, and really makes the dish! I really love the simplicity of this dish, and the fact that my kids clear their plates without complaining! Plus, it’s so easy to add vegetables, like carrots, broccoli, peppers and mushrooms to make it a complete meal. My kids are so much more willing to eat their veggies when dinner resembles something they can get at their favorite restaurant. 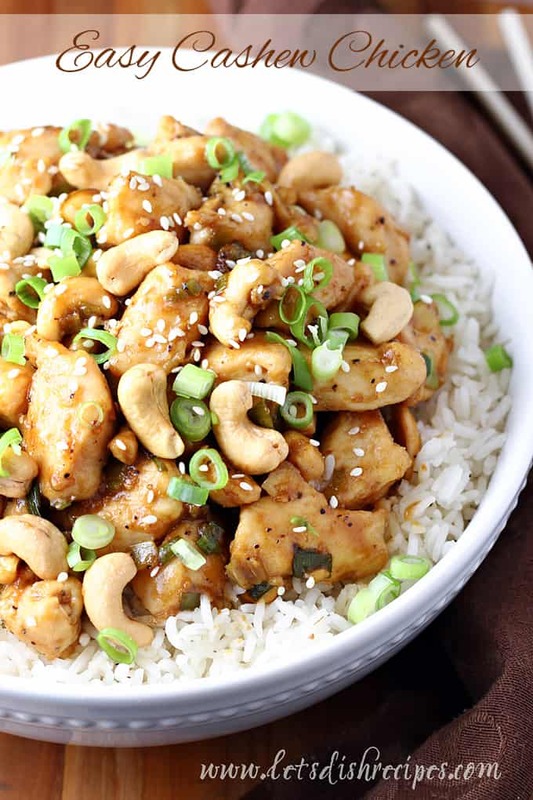 And why would you ever get take-out when it’s this quick and easy to make cashew chicken at home. This flavorful chicken dinner comes together way faster than you could get a delivery from your favorite Chinese restaurant. 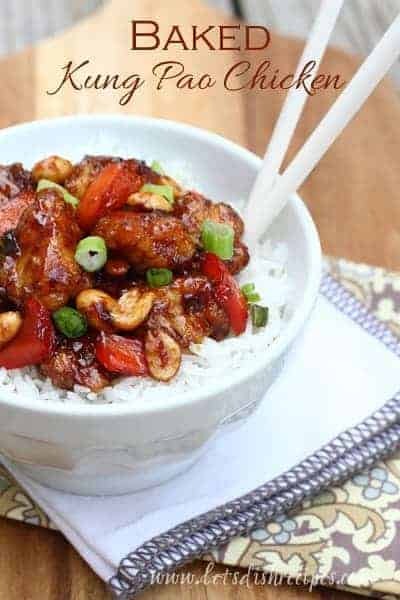 This Easy Cashew Chicken has been a family favorite for years, and I’m sure it will be for years to come. I hope you try it and love it as much as we do! 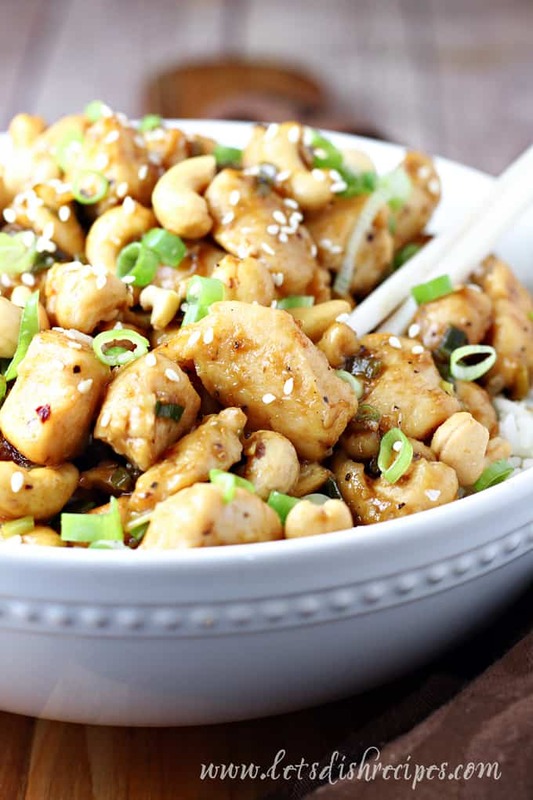 Be sure to save this Easy Cashew Chicken recipe to your favorite Pinterest board for later. In a medium bowl, toss chicken with cornstarch until chicken is coated. Season with salt and pepper. In a large skillet, heat the oil over medium-high heat. Cook the chicken, tossing often, for 3-5 minutes. Add garlic and white parts of scallions to the skillet. Continue cooking until chicken is browned, about 3 minutes more. Add vinegar and cook until evaporated, about 30 seconds. Stir in hoisin sauce and 1/4 cup water. Cook and stir until chicken is cooked through. Remove from heat. Stir in scallion greens and toasted cashews. Serve immediately over white rice, if desired. 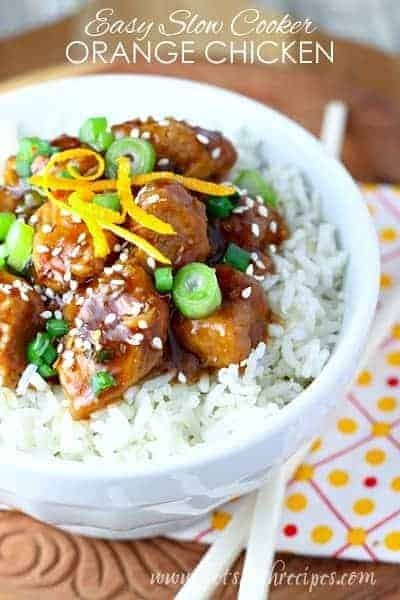 This is my husbands favourite Asian dish so I make it here quite a lot, but I have never used hoisin sauce-what a mistake! I can imagine that it provides an enormous amount of taste. Thanks for this great recipe! I love cashew chicken but can never get my homemade version to taste as wonderful as takeout. I’m thinking it’s the hoisin sauce. It’s going on the grocery list right now! Definitely a recipe we will love. Thanks for sharing it! Your recipe looks and sounds wonderful! Chicken and cashews are such a wonderful combination. Martha does it again! 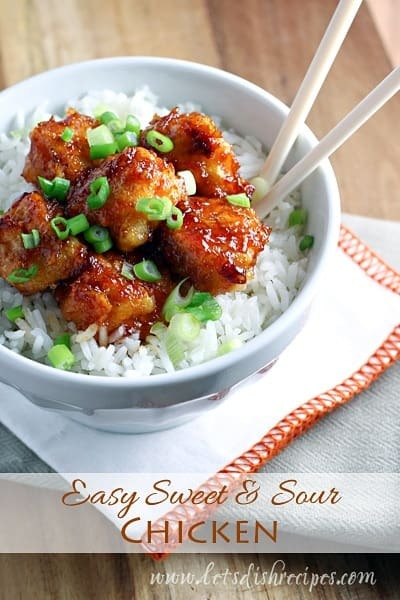 This dish sounds wonderful and so pretty with the sliced green onions on top. I made this for my family last month and we all had seconds. It was so good! I’m making it again tonight. Thanks for the terrific recipe!